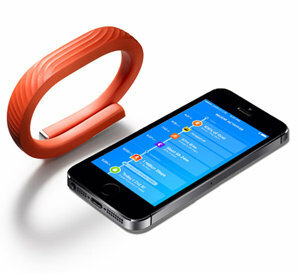 Up24 By Jawbone Large Wireless Activity and Sleep Tracking Wristband - ORANGE. Brand New Sealed - Official UK Stock - Full Manufacturer Warranty. Fast Delivery M-F. Battery Life: Up to 14 days with the latest firmware. Two single color LEDs and vibrating motor indicates power, charge states and current status. An integrated system built around you. UP24 is a system that helps you understand how you sleep, move and eat so that you can make smarter choices. The new app displays your movement and sleep details from your UP24 band and delivers insights, celebrates milestones, and challenges you to make each day better. Share accomplishments with friends by teaming up in the UP24 App. Living with UP24 allows you to discover patterns between your daily & nightly activities and how well you feel, so recognising how to improve your health and fitness through small changes becomes easy. UP24 is always connected wirelessly to your smartphone via Bluetooth Smart, helping you achieve your goals with real-time updates on your progress and notifications when you need them. See how your daily wins add up over time, and share them with friends. The UP24 App celebrates meaningful milestones such as your millionth step taken or hitting your sleep goal seven days in row, and helps you achieve your next milestone. The newest version of the UP24 App is still the best way to know more about how you sleep, move and eat. The UP24 App's Insight Engine ties it all together, helping you find hidden connections and patterns between your daily and nightly activities. You can achieve anything when you take it one day at a time, the UP24 Insight Engine suggests daily goals based on your unique patterns. Today I Will insights challenge you to step further, stay hydrated and sleep better, for a sense of accomplishment each and every day. Know what's happening with you, how you sleep, move and eat. The home screen is your daily dashboard, a way to quickly check in with your progress and see what your friends are up to. The UP24 Insight Engine also discovers hidden connections in the way you live to deliver powerful recommendations and motivation. The UP24 system integrates with the apps you already love to help you get even more out of your UP24 experience. Whether you're biking with Strava, working out with Wello or jogging with RunKeeper, you can track it all with UP. And if you're looking for new tools to help you meet your goals, the UP24 ecosystem has apps for fitness, weight loss, sleep coaching, detailed food journaling and more.